There are two houses in the US Congress, and control of each is up for grabs on Nov. 6, when the midterm elections will be held. Currently, President Donald Trump’s Republican Party controls both houses of Congress, but the Democrats want to change that. Typically, the party that does not control the presidency does well during midterm elections, but nothing is determined until the votes come in. All 435 seats in the House of Representatives will be contested for two-year terms, while about one-third of the Senate seats are contested for six-year terms. Many experts believe that the House of Representatives will switch to Democrat control, but it will be close. However, the truly interesting races will be in the so-called upper chamber of Congress, the Senate. Because more Democrat Senators are up for re-election this year — simply a matter of happenstance — the Republicans actually have a good chance of retaining control of the Senate, and maybe even expanding their power there. There are a few races that look to be especially captivating. Texas has been a mostly Republican state for at least 40 years: Its voters have not backed a Democrat presidential candidate since 1976 and it currently has two Republican Senators and a Republican governor. 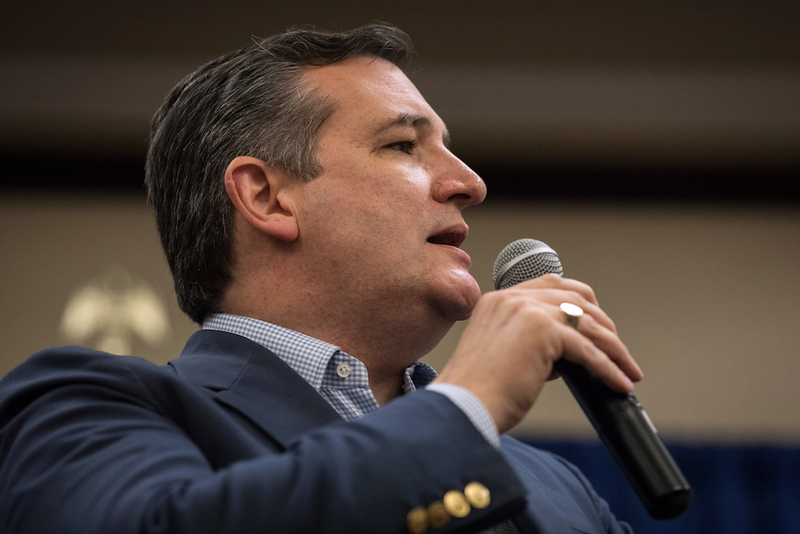 Ted Cruz is up for re-election and he is quite recognizable by voters since he was the strongest challenger to Trump in the 2016 primary elections. However, Texas is a big prize simply because it is the second-largest state in the country. Democrats would very much like to demonstrate good results there, especially to create momentum for the next presidential election. Therefore, the Democrats are enthusiastically opposing Cruz with Robert “Beto” O’Rourke, a Congressman from the city of El Paso. Texas has a large Hispanic population, so it is fascinating that the ethnically Irish O’Rourke speaks Spanish and uses a Spanish nickname, while the Cuban-American Cruz does not speak Spanish. However, Cruz is a very effective orator and debater and has received the unconditional support of Trump. He has had a consistent but fairly narrow lead in the polls. The Democrats are insisting the race is close and are putting huge amounts of national money into this race, which thrills other Republicans because it keeps money out of their races. Nevertheless, if Cruz was to lose, it would be one of the biggest political upsets of this generation. If Cruz was to lose, it would be one of the biggest political upsets of this generation. Florida’s Senate race pits the long-time incumbent, Democrat Bill Nelson, against the state’s outgoing governor, Republican Rick Scott. Florida is the third-most populous state but, unlike Texas, it has not voted consistently with one party or the other. Most recently, Florida voted for Trump, but not by much. Nelson has been a Senator since 2001, and before that he was a congressman for 12 years. Nelson also served as an astronaut in 1986 through a special NASA program developed to take a congressman into space (it was similar to the program seven months earlier that saw Prince Sultan bin Salman join NASA on a shuttle mission). Scott, on the other hand, has been the governor of Florida for eight years after a career running a hospital company. It is not certain whether either Florida candidate is well liked. Scott faced scandals during his business career, while Nelson is a career politician, which is viewed as noxious by many Americans. This race may come down to the popularity of the president. Supporters of Trump want his party to retain control of the Senate, and he has endorsed and campaigned for Scott. Floridians who do not like Trump will certainly vote for Nelson. Because Florida was so evenly split in the last presidential election — just like the country — this vote may be a strong indicator of what the state now thinks about the president. New Jersey’s Senate race was not expected to be close, but it may be. Bob Menendez, the incumbent, is a Democrat and a politician for the last 44 years. The state typically votes for Democrat candidates, although it did have a Republican governor recently. However, Menendez has faced scandals lately. A 2017 trial on corruption charges ended when a jury could not reach a unanimous verdict. His challenger, Bob Hugin, is a former banker and business executive. The indications are that Menendez will win but, if Hugin succeeds, it would be a bad sign for Democrats. There are several other captivating races. In Arizona, the Republican incumbent, Jeff Flake, became very unpopular among his base when he opposed Trump quite aggressively. As a result, Flake chose not to run for re-election and now the race between two female candidates is very close. In North Dakota, Democrat incumbent Heidi Heitkamp is expected to lose to her Republican challenger, Kevin Cramer, because she has stood with her party against Trump even though he is very popular in her state. More than ever before, many of these races seem to be referendums on the current president. Unfortunately for the opposition, there are simply many more Democrat incumbents facing races this year, and many are in states that support the president. Currently, Republicans hold 51 out of 100 seats. That number could very well grow, which would be a positive sign for Trump’s agenda for the next two years of his presidency.